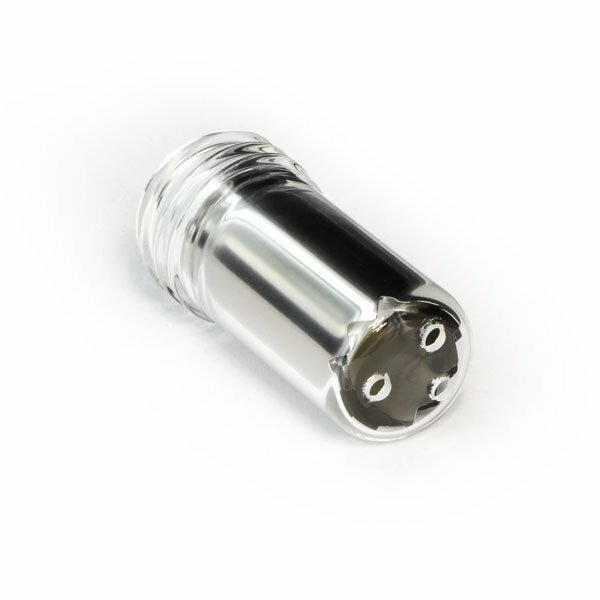 This screw cap is made from borosilicate glass and functions as a protective casing for the halogen light bulb of the AroMed vaporizer. The aluminum sheet inside acts as a reflector. Three punctures in the top allow the heat to escape from the glass cylinder. Always disconnect the AroMed from the power supply and ensure it is cool to the touch before attaching/removing the cap.